Chase was admitted to Children’s Hospital on January 28th and will be there for 4-5 days. He will begin his Chemotherapy on January 29th . The treatment plan is to hospitalize Chase for 3-4 days each month for the next 6 months to administer 3 types of Chemotherapy. The Chemotherapy is designed to kill the cancer cells found in his brain. They will continue to monitor his condition and check his progress using MRI’s. Adjustments will be made to his treatment plan depending on how he responds to the Chemotherapy. Chase will continue having physical therapy 2-3 days a week to help him build his strength and balance. This is a necessary step in the process of recovering from brain tumor surgery. We have seen a small amount of hearing loss in his left ear and some blurred vision still. We are hopeful the blurred vision is only temporary. Chase will continue to have his hearing monitored. Chase was having severe headaches the week of December 7th. Normal pain medicine was prescribed but the headaches got worse. On December 16th, Chase went in for a MRI and a large mass (tangerine sized) was found on the right side of his brain. Surgery was performed on December 18th and the mass was removed. Pathology testing on the tumor showed that is was a very fast growing malignant cancer known as Medulla-blastoma. This is the same type of Tumor Chase had removed when he was 6 years old. 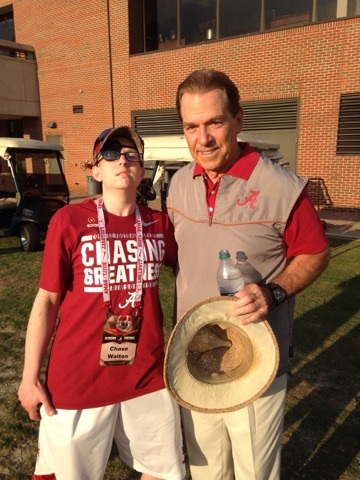 In 2002-4, Chase completed 8 weeks of Chemotherapy and 6.5 weeks of radiation to his head and spine. He then had 2 weeks off before starting a 48 week regimen of a combination of 3 types of Chemotherapy. Chase finished treatments about 2 weeks after his 8th birthday. Please donate to help Chase with his recovery process. Every dollar donated is greatly appreciated!! The funds received will go towards his surgery costs, stem cell treatments, MRI/CAT scans, prescription drug co-pays, chemotherapy treatments and ongoing physical therapy. Chase does have health insurance, and it is very difficult to determine the total out of pocket costs for the surgery and treatments. Best estimate of the total out of pocket costs is somewhere between $6,600-12,000. Any money raised in excess of the final treatment costs will be donated to two charities that Chase has benefited from (Blue Skies Ministries and Camp SAM Smile-A-Mile). 4-27-17 Thank you to so many who have covered our family in prayer during this difficult time and the outpouring of support. The funeral will be held at the Rainsville Funeral home in Rainsville, Alabama at 1PM on Friday April 28. There is a pre Viewing tonight from 7-9 PM. There will be a short service on Friday at 1PM and he will be buried in Rainsville Near his Grandfather who he adores. There will be a celebration of Chase's life at the Church of the Highlands at the GREYSTONE campus in Birmingham at 3PM on Saturday. 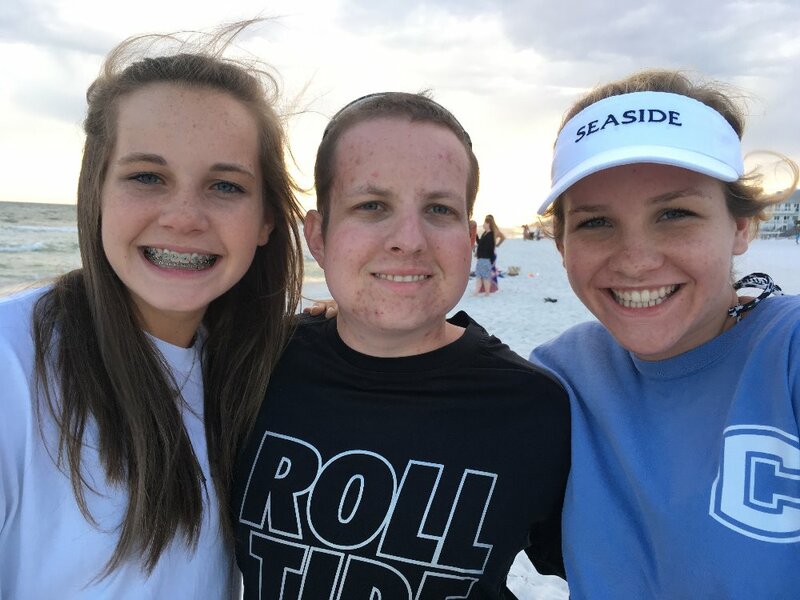 Instead of Flowers or future donations to this site please direct support to Chase's favorite organizations Camp Smile-A-Mile in Birmingham, AL or Blue Skies Ministries in Atlanta, GA. Their love and support of Chase over many years has been amazing. 4-25-17 Chase has gone on to be with the Lord. We are so grateful to God to have him in our life for 21 years. He has brought so much Joy and Love to our lives that he will be dearly missed in our earthly life. But I look forward to seeing him in Heaven for our eternal life. Once we have made funeral/service arrangements I will post them here. Many thanks to all those who have supported Chase in this journey and supported him financially in this process. 4-13-17 Chase's last MRI was on March 29. The MRI showed no growth but no shrinkage. The Dr has decided to go two cycles (42 days) before the next MRI because the tumor did not change (about May 10). This round of chemo has been particularly hard on Chase. He has gotten sick after each treatment as the chemo is taken orally and tastes HORRIBLE! His energy has also been zapped by the chemo. His 4th grade teacher and Husband (Mr & Mrs Birdsong) arranged for Chase to go to a University of AL football practice yesterday and this really lifted his spirits. 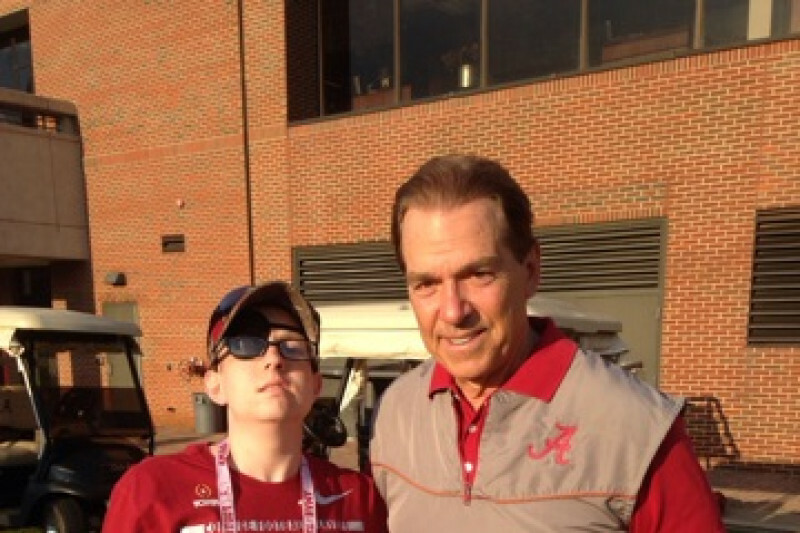 Chase got to meet Nick Saban and many of the Alabama Football players. He even had them all sign a football. Chase was thrilled. They invited him to come back anytime!!! Many thanks to Mr and Mrs Birdsong for there continued support and love. Thank you also to all those who continue to contribute to Chase's fund and to those who are praying for his healing. 3-11-17 Chase had an MRI this past week that showed the tumor is shrinking!!! It was such a relief to get this good news. He has had a number of recent set-backs (double vision, numbness on the left side of his head, additional hearing loss). But after looking at the MRI, the tumor is definitely getting smaller. His balance also tested better this week. With this good news he will continue on the same clinical trial for the next 21 days. And, he will continue on this trial provided the tumor continues to shrink. Chase's attitude continues to be good despite some of the very difficult side affects of the chemo. He has shaved his head, and looks very handsome! Chase also turned 21 last month and had his first Margarita - his drink of choice! Surrounded by family and friends and favorite teachers we celebrated at one of his preferred Mexican restaurants - Pablos. His next MRI will be on March 30. Thank you again for the many generous contributions, prayers and well wishes. So sorry for your loss.... we will be making a donation to children's healthcare oncolology dept in Birmingham or smile a mile, two charities near and dear to Chase. Heaven gained a beautiful angel! Chase, I'm glad the chemo is working. Hang in there for the meds. Hugs to you! Prayers from the Pouncey family. Romans 8:28 "And we know that in all things God works for the good of those who love him, who have been called according to his purpose." Love, thoughts and prayers going out from the entire Barrett family!! Chase left us all with beautiful and precious memories. We will see you again one day. So Sorry, I have just heard of you're loss. Sincerely, Vicki Kitch Site Coordinator for The Caterpillar MX job.